Valley residents and visitors from all over sing from the Harmonia Sacra many times each year. Check this schedule of annual sings for your next chance to join us in song. January 1. Weavers Mennonite Church, 2501 Rawley Pike, Harrisonburg, VA, 7 p.m. Held every year since 1902. On U.S. 33 west of Harrisonburg, VA, about 2.5 miles west of town. The church is a large gray stone building on the south (left) side of the road . January 1. Anabaptist Mennonite Biblical Seminary, Chapel of the Word, 3003 Benham Ave, Elkhart, Indiana. 1-5 p.m. with potluck dinner. From U.S. 20 bypass, exit north on Indiana 19, 1/2 mile to Mishawaka Road, then east 3 miles to Benham Ave.
First Sunday in February. Virginia Mennonite Retirement Community, 1501 Virginia Avenue, Harrisonburg, VA, 3:30 p.m. Strite Auditorium, second floor of Crestwood, the building closest to the street, to the left of main entrance of retirement center on Virginia Ave. (Va. 42) just north of Harrisonburg. First Sunday in April. Harrisonburg Mennonite Church, 1552 South High Street, Harrisonburg VA, 7 p.m. From I-81, take the James Madison University/Port Republic Road exit. (Exit 240). Go west on Maryland Ave. (into town) about one mile, through the first traffic light (which is South Main St. or U.S. 11) and cross two sets of railroad tracks. Turn left at the next traffic light onto High Street. The church is about 1.5 miles later, on the left side of the road. It stands on a hill off the road, but there is a sign on High Street shortly after you pass a car wash on the left. First Sunday in May. Trissels Mennonite Church, 11246 Hisers Lane, Broadway VA, 7 p.m. Small sing at the one of the oldest Mennonite churches in the Valley. Take Va. 42 north of Harrisonburg to Hwy 809 (if driving north, turn left onto 809 a few miles after you pass Linville). Go about two miles to Hwy 752 and turn right. The church is on your right. First Sunday in June. Old Hildebrand Mennonite Church, 562 Hildebrand Church Road, Waynesboro, VA, 6:30 p.m.. From I-81: Take Exit 225 east on Rt. 262, which eventually becomes Hermitage Road. At about 5.8 miles from I-81, make a left turn onto Rt. 619 (also called Hildebrand Church Road ) and go about 1.4 miles. The church is on the left. From Charlottesville and Waynesboro: Take Rt. 254 about 4.3 miles north-west from the Hopeman Parkway on the edge of Waynesboro, and make a right turn on to Rt. 619, or Hildebrand Church Road, and go 1.4 miles as above. First Sunday in July. Dayton Mennonite Church, 4887 John Wayland, Highway, Dayton, VA, 7 p.m. The church is on the east side of Va. 42 just south of the town of Dayton, which is a few miles south of Harrisonburg. First Sunday in August. Old Hamburg Church, 581 Hamburg Road, Luray, VA, 10 a.m., with dinner on the grounds followed by afternoon singing. Unique among the Valley sings, held in a 165-year old log meetinghouse with excellent acoustics. From I-81, take the New Market exit (U.S. 211) and drive east, over the mountain. After crossing the Shenandoah River, turn north (left) onto Hwy 766 and go a mile or so to the small village of Hamburg, west of Luray. The old church is on the left. New in 2018: Sing at the restored Dunkard meeting house at the Luray Valley Museum, Luray Caverns, Va. September 1, 2018, 1-4 p.m.
First Sunday in October. Old Salem Church, 9788 Singers Glen Road, Singers Glen, VA, the home of the Harmonia Sacra. 4 p.m. This is an afternoon singing in Old Salem, a reconstructed log church on the grounds of Donovan Memorial United Methodist Church in the village of Singers Glen, 7 miles northwest of Harrisonburg on Hwy 613. First Sunday in November. Community Mennonite Church, 70 South High St., Harrisonburg VA, 7 p.m. The church is located just south of the intersection of W. Market Street (U.S. 33) and S. High Street (Va. 42). The Harmonia Sacra Society is working to maintain the Joseph Funk House, built around 1804. The house is owned by a group that was assembled when the house unexpectedly came up for sale in 2009. This LLC intended to keep the house and turn it over to a nonprofit that would promote the Funk family’s musical legacy and maintain the house as the landmark that it is. The Harmonia Sacra Society is that group. Before the transfer of the property can be completed, the society wants to establish a fund to ensure the maintenance of the house. The house’s original log walls are in remarkable condition, but other repairs are needed. The fund would help to pay for these and set in motion the transfer of the house to the society. The society has plans to make the house into its headquarters and a museum that would illuminate the Harmonia Sacra‘s past, present, and future, as well as promote the lasting work of the Funk family and the village where it all began. Apart from the Harmonia Sacra hymnal and singing itself, the house is the most prominent relic of Joseph Funk, and something that should not be left to decline. To contact the society, email us at i[email protected]. Donate. To make a tax-deductible contribution online, click here. The Community Foundation manages the fund for the society and will provide a receipt for your contribution. Please write “Harmonia Sacra Society” in the memo line. The Harmonia Sacra Society is a 501(c)(3) nonprofit organization dedicated to preserving and promoting the legacy of Joseph Funk, a Southern shaped-note hymnal publisher and singing school instructor. 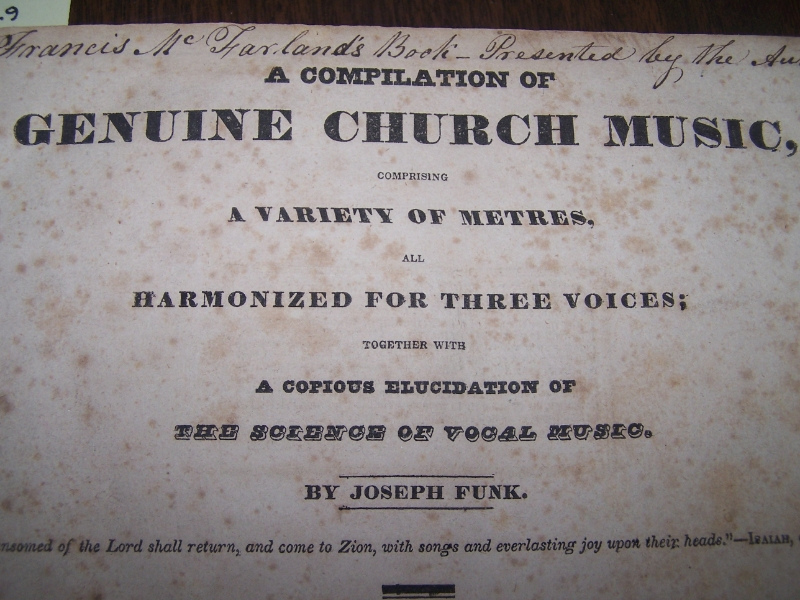 Funk (1778-1862) was the publisher of Harmonia Sacra, a hymnal still in use today in the Shenandoah Valley of Virginia. 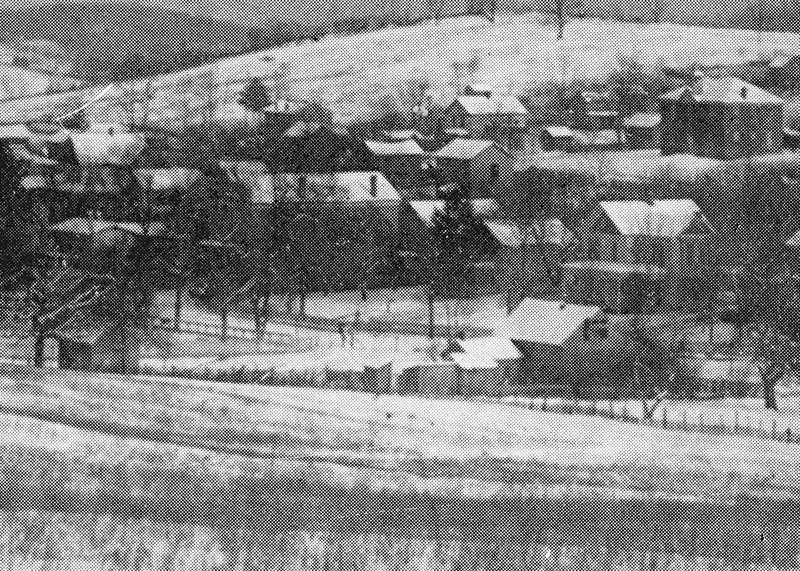 He was a founder of the village of Singers Glen in Rockingham County, where his house still stands. The society will use its endowment to preserve the Funk house, eventually using it as a headquarters and museum. We also promote regular singings from the Harmonia Sacra, research into Funk’s life and work, and remembrance of Funk’s influence on modern congregational singing in the Mennonite church and elsewhere.